Cats are known to be generally snob creatures. They often ignore people and even their masters. Some cats will even scratch you if you try to even touch a single hair. However, cats are also loving and friendly especially the Ragdoll breed also known as the Ragamuffin cat. They are one of most calm, laid back, and friendly cats in the world. 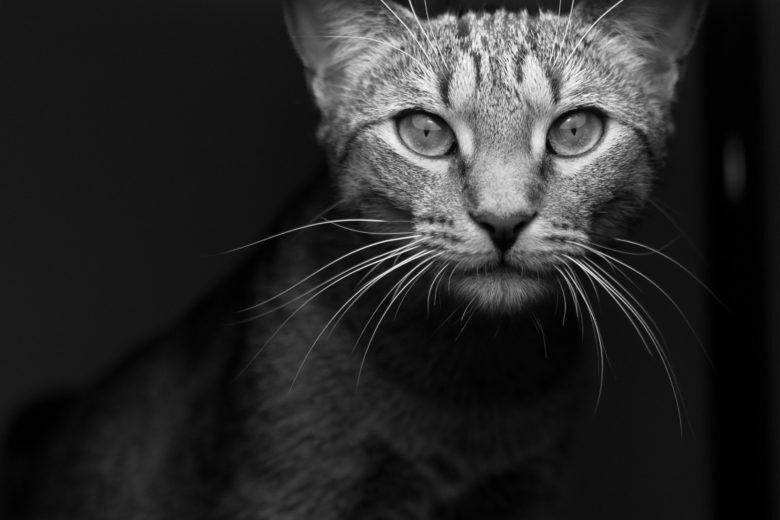 This breed is a relatively new breed in the cat family. In the 1960s a breeder from Riverside California named Ann Baker started breeding cats from her own pets. Ann Baker had a white long haired domestic cat named Josephine who had genes for a seal mitted and black tuxedo patterned coat. She also owned a variation of other long haired cats and those found in her neighborhood. Ragamuffins are the results of the cats she selected for breeding were large and beautiful cats which had gentle and placid characteristics. The cats’ long coats also had a distinguishing Himalayan pattern. This breed will be happy to flop onto anyone who picks it up hence the name of the breed. After Ann Baker, other people started breeding the cats as well. However, they separated themselves from Baker and instead formed the Ragdoll Fanciers Association which aimed to receive standardization and recognition from different cat registries. Currently the breed is recognized by the American Cat Fanciers Association as well the International Cat Fanciers Association. Ragamuffin cats are one of the largest domesticated cats in the world. A female cat can weigh 9 to 15 pounds while a male can reach 15 to 20 pounds and sometimes even more. Ragamuffins belong to the semi long haired cat group and have a soft and silky fur. They have blue eyes, a light colored body and darker colored legs, tail, ears, and face. Ragamuffin cats have 3 original patterns and 6 color variations. These are mitted, bicolor, and color point. Mitted and bicolor patterns have white while the colorpoint pattern has no white in the fur. Ragamuffin colors can be seal, blue, chocolate, lilac, red or flame, and cream. The new patterns are tortie, solid, lynx, and torbie. This gives a large variety of how they will look like. They also don’t develop their coat fully until they are three or four years old. A mitted Ragamuffin has a white chin, collar, and feet and its ears, face, tail, and legs are any of the 6 colors mentioned above. A bi-color one has more white areas in its body such as the belly and legs. Its body is in a lighter color than that of its ears, face, and tail. Finally, a colorpoint one will have any of the colors mentioned before for its face, ears, legs, paws, and tail along with a lighter colored body. Ragamuffins have a sweet, loving, and laid back temperament. They will instantly melt and relax their body in your arms once you pick them up and this is what makes them a great family friend. Because they are relatively calm cats they rarely extend their claws, an advantage especially for families with children in them. They are also friendly and gentle along with being very cuddly creatures. They are very devoted to their owners and will follow them wherever they go and they like to be involved with whatever owners are doing. They are also less stubborn than other kinds of cats and can even be trained to fetch toys. They love sitting on a balcony or a window sill. With all of this, Ragamuffins do not like to be alone. If you live on your own, make sure to get your ragamuffin a companion in your home if your out working all day. They have a lifespan of 12 to 17 years. Since it is a semi long haired cat with little to no underfur, they have less shedding compared to other long haired cat types. however it is still necessary to comb their fur at least two times every week to avoid tangles and matting. Comb thoroughly in areas such as the legs and where the legs and body meet since this is where matting often happens. After combing, you can then do a brush through to soften the fur. Neutered or spayed cats have lush coats throughout the year because there are no hormonal fluctuations in their body. Meanwhile, an unaltered Ragamuffin coat can be affected by the changes in season as well as hormonal fluctuations where it is at its peak during winter. Bathing your Ragamuffin can vary between every couple of weeks or months depending on where it plays around. Dental hygiene should also be check on daily or weekly at the least along with trimming the nails every few weeks. Ears should be cleaned with a damp cloth as well as any discharge in the corner of the eyes. Make sure to also keep the litter box clean at all times since cats are very particular with their hygiene. With this breed, you will need a large litter box where they can comfortably squat or turn. Ann Baker, the first to breed Ragdolls, circulated different types of unusual claims regarding the breed such as the cats being indifferent to pain, having human genes, and alien influence. They love water. The sound of running water from your faucet or shower will definitely intrigue them and make them come running towards that area. They are the perfect lap cats! They love being with their owners and will cuddle with you unlike other types of cats that are snobby towards people. They can also have blue green or gold eyes. Most will end up having blue eyes after a while as they are all born with blue eyes. However this blue changes in hue as they get older. The Algonquin, one of the most historic hotels in New York City has had 10 resident Ragamuffins since the 1930s. Currently one named Matilda is residing in it. This cat breed is one of the best breeds you might find especially if you love cuddling with your pets. Their friendly nature makes them lovable although this also makes them more susceptible to danger. If you have children, make sure to teach them how to properly hold and support them with – one arm each beneath the front and hind legs. Take good care of your pets and they will love your for it.